Tradition enclosed in the scents and flavors of a dessert typical of the Sorrento area. The Lemon Delight is an authentic symbol of our local cuisine and its reinterpretation, elaborated by our pastry chefs, will be able to tease your palate. We at “Soul & Fish” offer seasonal menus capable of emphasizing the fresh ingredients of the Coast, with dishes ranging from appetizers to desserts, through excellent main courses and fantastic second dishes. The Lemon Delight is a dessert as delicate as it is beautiful to look at. The flavor of our local yellow citrus fruit is one of the dominant features of this dessert, together with the soft sponge cake and the delicious whipped cream that joins a special cream with a slightly sour taste. 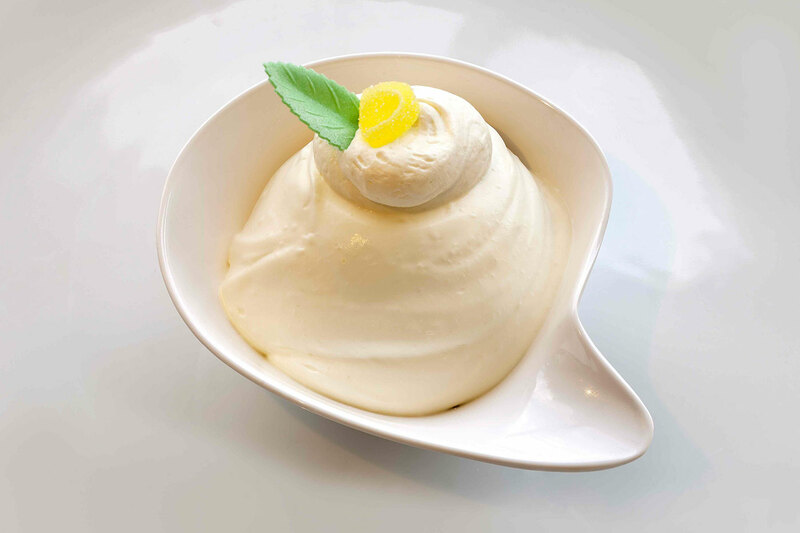 The preparation stages range from the aromatization of the cream to the construction of small domes of sponge cake, through the preparation of custard and lemon cream. Our chefs, however, won’t stop at the traditional recipe, but they will surprise you with a personal reinterpretation of this delicious dessert, an icon of Sorrento’s everyday life. Eating in Sorrento means experiencing the perfect balance between consistency, flavors and aromas, achieved by our chefs by taking care of every detail. At the base of a well done job you always find them: the ingredients. We at “Soul & Fish” only use high quality raw materials and we do it because we want to give you an extraordinary taste experience every time. Discover our Lemon Delight and savor the essence of freshly hand-picked lemons. Conctact us via the phone number or by using the form for any information, without forgetting that on the website you will also find a convenient online booking form.